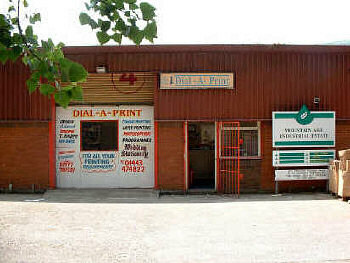 Dial-A-Print was started in 1989 by the present proprietor Gwyn Jones who has been in the printing industry since 1973. We aim to provide a personal, quality service with quick turnaround at highly competitive prices. In most cases we will design your stationery within 24 hours and ALL jobs are treated as urgent. Our Range of services is outlined on the linked pages, but if you have any enquiries do not hesitate to contact us. We welcome enquiries from all types of businesses, large or small.